The US Fish & Wildlife Services has proposed the delisting of gray wolves in the lower 48 United States and Mexico. Regarding how the USFWS can delist a species in Mexico, when they originally listed the gray wolf in 1978, they based it on its range in the lower 48 states and Mexico. At that time, they were including the Mexican gray wolf under the umbrella of gray wolf as one species. But through advancements in science they learned it’s a separate subspecies, and in 2015 they finalized listing the Mexican wolf as a separate entity. This proposed rule does not have any effect on the separate listing of the Mexican wolf as endangered under the Act (80 FR 2487, January 16, 2015). 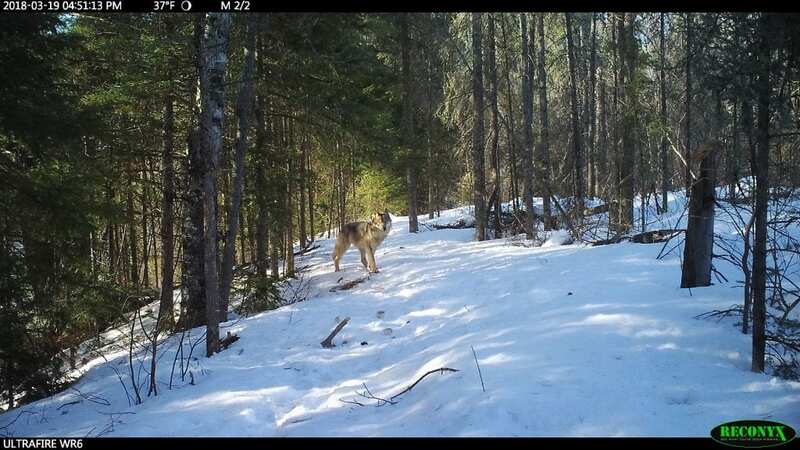 However, Mexican wolves traveling north of Interstate 40 could be mistaken for unprotected gray wolves in northern Arizona and other states and shot. Along with other criteria, the USFWS must consider if the species is subject to over-utilization for commercial, recreational …purposes? Are there adequate existing regulatory mechanisms in place, taking into account the initiatives by States and other organizations, to protect the species or habitat? If USFWS determines that the threats have been eliminated or sufficiently reduced, they may consider delisting or downlisting the species. We believe the threats still exist. Upon delisting, each of the states in the Great Lakes Region can implement wolf hunting / trapping seasons (Wisconsin law mandates a hunting/trapping season and allows the use of dogs to hunt wolves). During the period January 2012 – December 2014 (when wolves were delisted and the Great Lakes States had management authority), 1473 wolves were killed through hunting and trapping. More than 900 wolves were killed during control actions. Lack of federal protection would make it difficult, if not impossible, for wolves to recolonize areas where there is suitable habitat, but no wolves, such as the southern Rockies, the Dakotas and the Adirondacks. Please include sufficient information with your submission (such as scientific journal articles or other publications) to allow USFWS to verify any scientific or commercial information you include. In December 2018, a formal petition was filed by Center for Biological Diversity and the Humane Society of the US requesting that the U.S. Fish and Wildlife Service reclassify gray wolves under the Endangered Species Act as threatened throughout the contiguous United States, with the exception of the Mexican & Red wolves as endangered. This document, available on our website contains references to many scientific publications that are also pertinent to the delisting proposal. Submissions merely stating opposition to the delisting proposal, without providing supporting information, although noted, will not meet the standard of best available scientific data. Likewise, petitions and form letters carry very little, if any, weight in making the decision. Error: Error validating access token: Session has expired on Friday, 22-Mar-19 12:26:11 PDT. The current time is Sunday, 21-Apr-19 03:45:30 PDT.